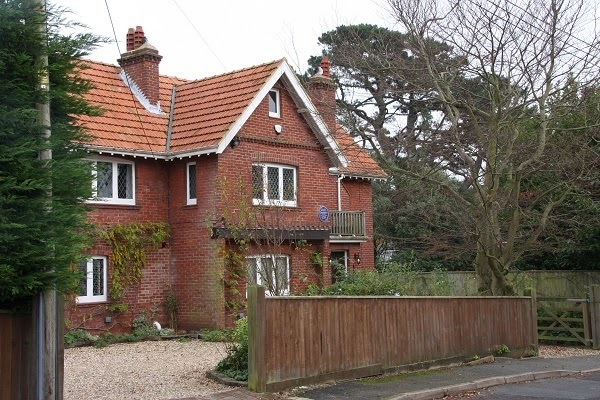 Six months ago, just before the Summer Solstice, a blue plaque was unveiled for Gerald Gardner, the Father of Modern Witchcraft, at the house where he lived in Highcliffe on the edge of the New Forest. I wasn't able to get to Highcliffe for the unveiling - I was on holiday in Orkney at the time - but I went to see the house and plaque this weekend while I was staying in the area with friends. I took the photos you can see on this post. The house is called Southridge and it was bought by Gerald and his wife, Dorothea, in 1938 when they moved to the New Forest from London. He was living in this house when he met the coven of witches into which he was later initiated and whose teachings prompted him to popularise the pagan religion of Wicca. 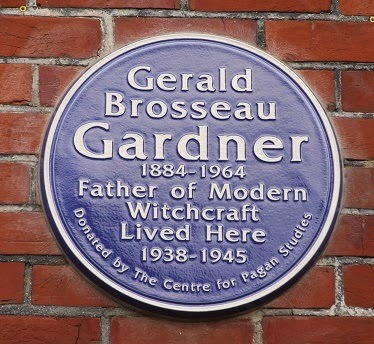 Money for the commemorative blue plaque was raised by the Centre for Pagan Studies and it was unveiled on Friday 13, June 2014, which would have been Gerald's 130th birthday.